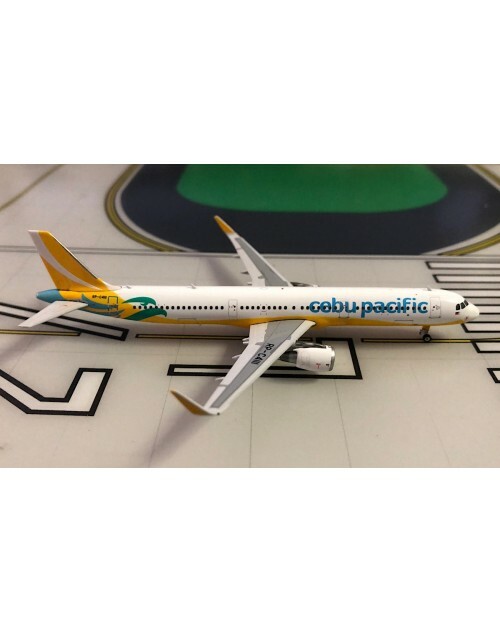 1/400 scale die cast Phoenix Models Cebu Pacific Airbus A321-211Sharklets with current color scheme. Registration: RP-C4111, msn: 8190. Released in August 2018. Dimensions: Length: 4 3/8 inches (12.1 cms), Wingspan: 3 3/8 inches (8.6 cms).